For small, independent businesses – many of which lease seasonal mall space to target holiday shoppers – this type of signage is out of reach. At the same time, mall managers expect these stores to present a professional image. 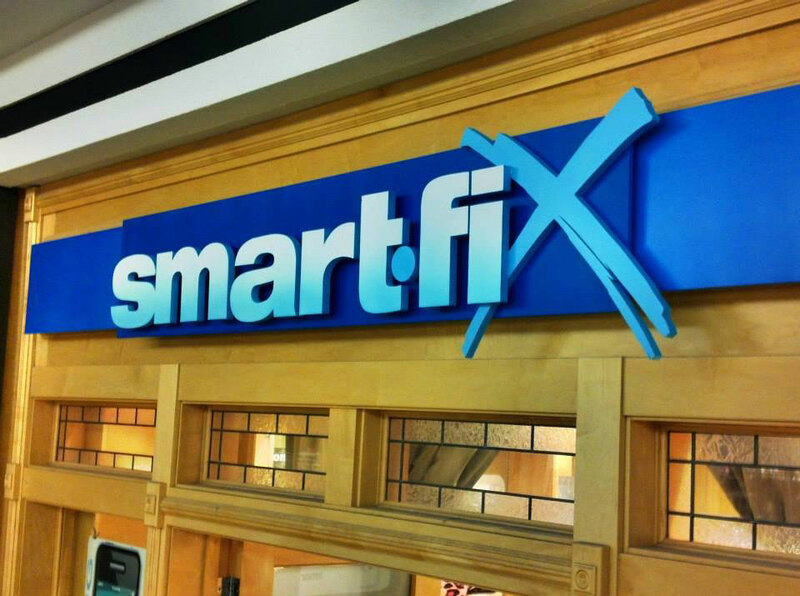 Greg Scott, owner of GSWorx in New Philadelphia, Ohio, meets the needs of both independent business owners and mall management by creating cost-effective three-dimensional storefront signage with lightweight-yet-durable materials, including Gatorfoam® graphic display board. When Scott started his business a decade ago, one of his first customers was New Towne Mall in New Philadelphia, which is owned and operated by the WP Glimcher retail real-estate investment company. 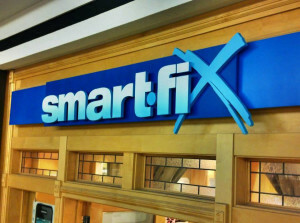 At that time, mall management had no requirements for signage, according to Scott, who said that some seasonal tenants had started installing banners across storefronts. In response, mall management issued requirements that all storefront signage must be at least 2 inches thick and include three-dimensional lettering. 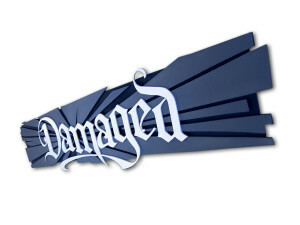 At that time, most three-dimensional signs in the mall were created with layered plywood, plastic or metal channel letters. 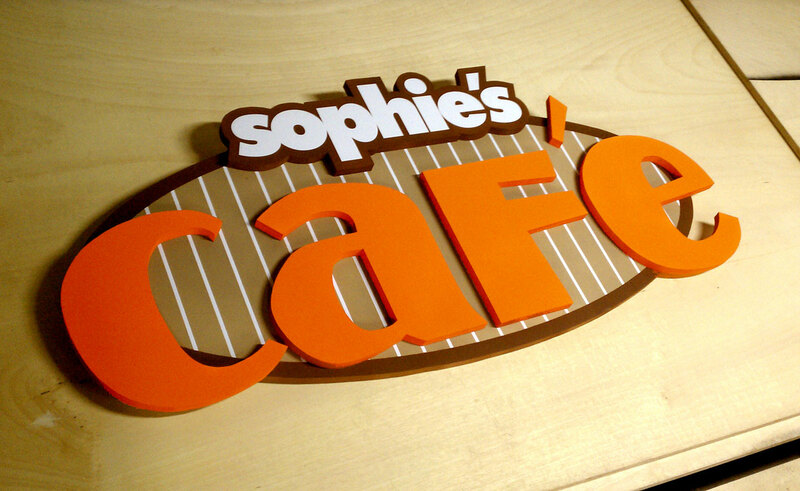 Scott thought that Gatorfoam would serve as a more cost-effective solution for creating these types of dimensional signs. 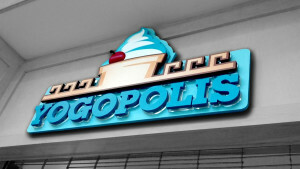 Mall management was so impressed with Scott’s initial signage created with Gatorfoam for New Towne Mall’s Seattle Cafe that photos of this graphic display were sent to other malls owned by WP Glimcher. “Everyone seemed to like it because it didn’t look like any other mall signs; I started getting calls from mall managers in other states,” said Scott, who studied visual communications at The Art Institute of Pittsburgh and often develops illustrated iconic characters to help brand these small businesses. 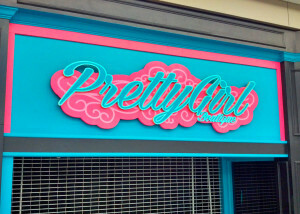 Scott has created a niche market focused on storefront mall signage for independent businesses with clients located in the Columbus, Ohio, area as well as in Kentucky and Pennsylvania. 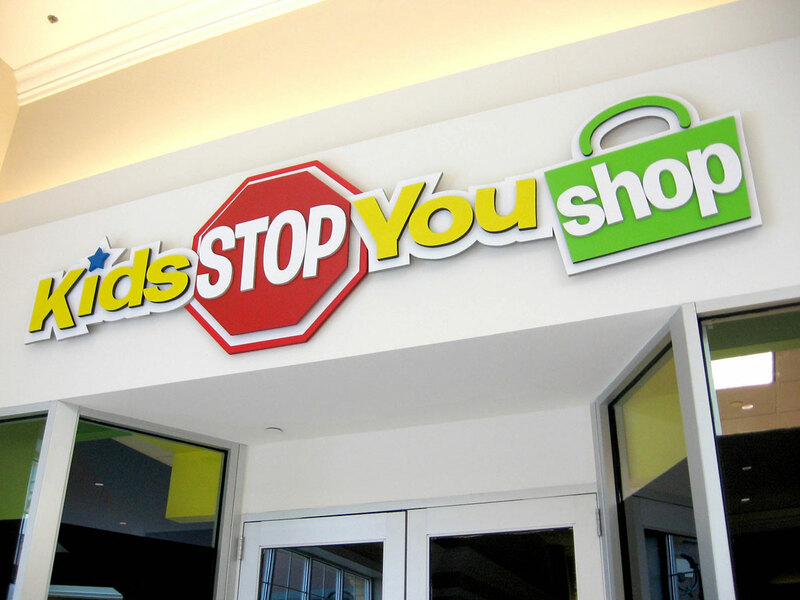 Scott regularly turns to Gatorfoam to create three-dimensional storefront signs – either by fabricating several layers of Gatorfoam or by combining Gatorfoam lettering with other materials such as acrylic, metal and high-density urethane (HDU). 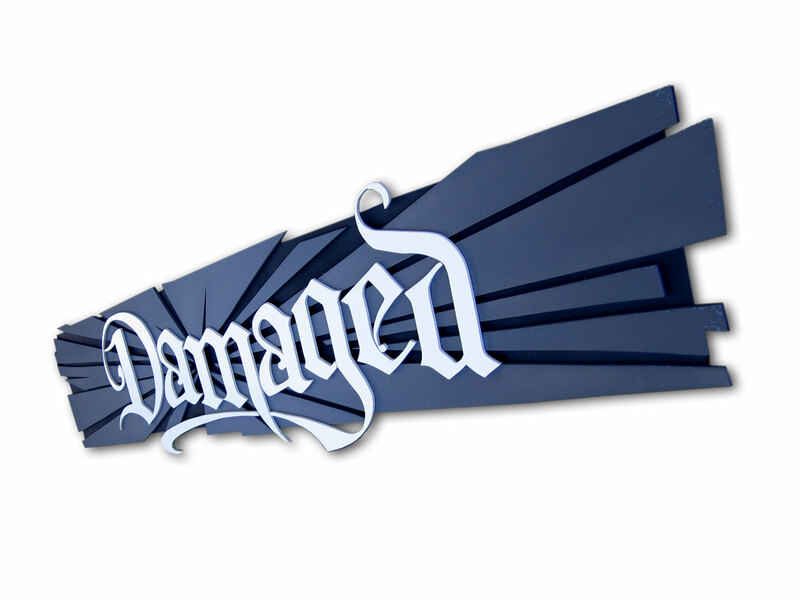 Scott selects white Gatorfoam graphic display board for storefront signage often in the 1-inch thickness and said that he always paints exposed edges “to create a nice, finished look.” He most often turns to water-based paints but has used everything from craft paints to house paints and finishes with a clear acrylic coat. Scott cuts Gatorfoam – which is supplied by the Cleveland branch of distributor N. Glantz & Son– with standard woodworking tools.